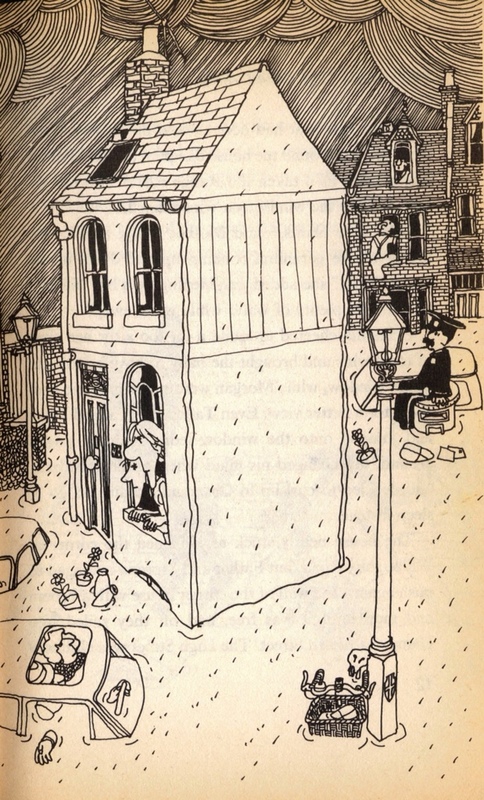 Imagine a nightmare Britain where houses are so poorly built that a period of sustained rain is able to uproot entire buildings and washing them down the street and out into the ocean. Fortunately though, in this scenario they can also float, which sounds like the premise of a sci-fi dystopia where people have become so inured to extreme weather that they have developed buoyant bricks and mortar. 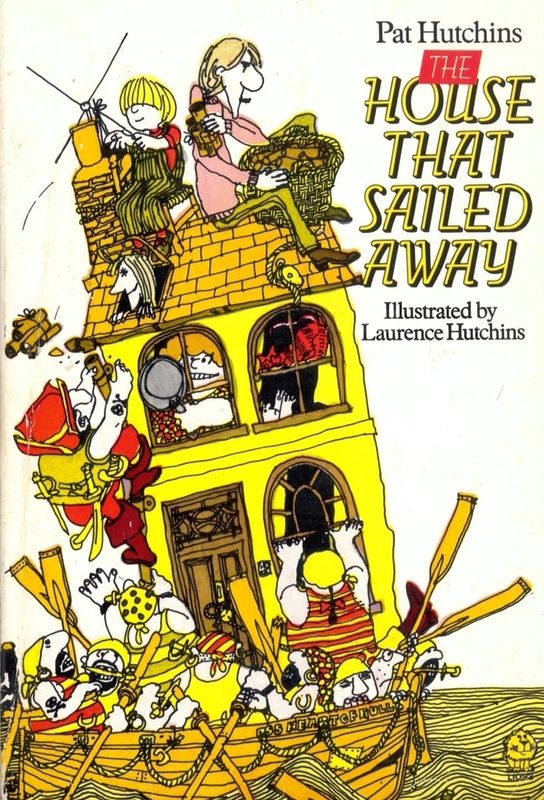 Of course The House that Sailed Away isn’t a dystopia at all. It’s wonderfully, gleefully silly. 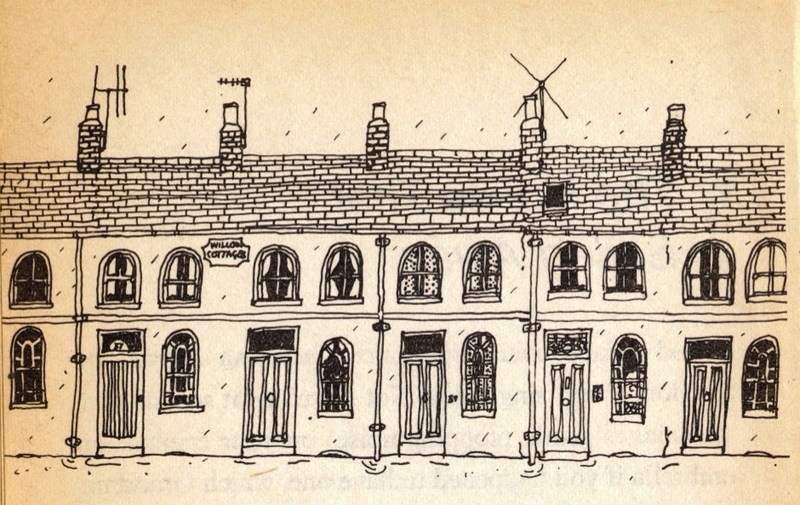 Pat and her husband Laurence Hutchins have created a story that is infused with the humour of the Goons and Les Dawson. It’s the product of two people creating something quite personal and having a lot of fun. Pat Hutchins was the creator of one of the all-time great picture books, Rosie’s Walk, along with countless others including The Silver Christmas Tree. Here she’s on writing duties while her husband Laurence provides the images. The cover palette of yellow, red and brown echoes Rosie’s Walk, while the wobbly lines used to effectively capture the swelling seas point back to their background in graphic design. Pat was born in Britain in 1942 and met her future husband while working in the art department of a London advertising agency. The pair moved to a small Brownstone in Greenwich Village, New York for a couple of years in the mid-60s, when Laurence worked the New York office of J. Walter Thompson. 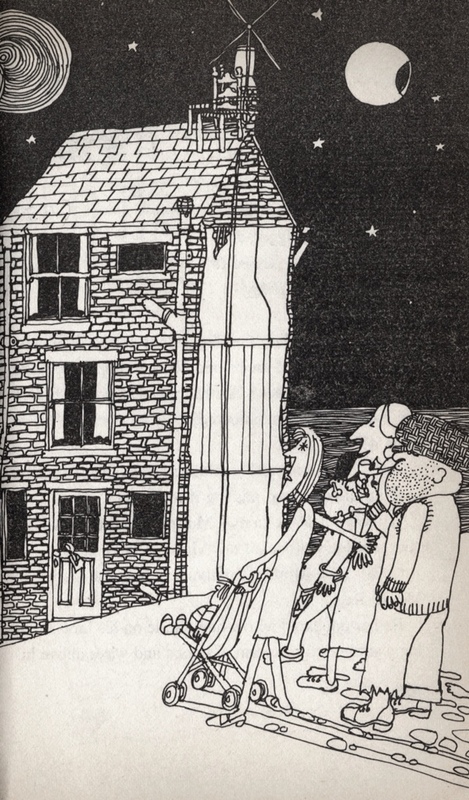 Pat took the opportunity to hawk her illustrations around town, and was promptly signed up by Macmillan, who published her first book, Rosie’s Walk in ’68. Their son Morgan was born around this time, and it’s presumably the same Morgan who is the model for the young protagonist of The House that Sailed Away. He looks rather like me in the late 70s – right down to the blond mop and OshKosh dungarees. 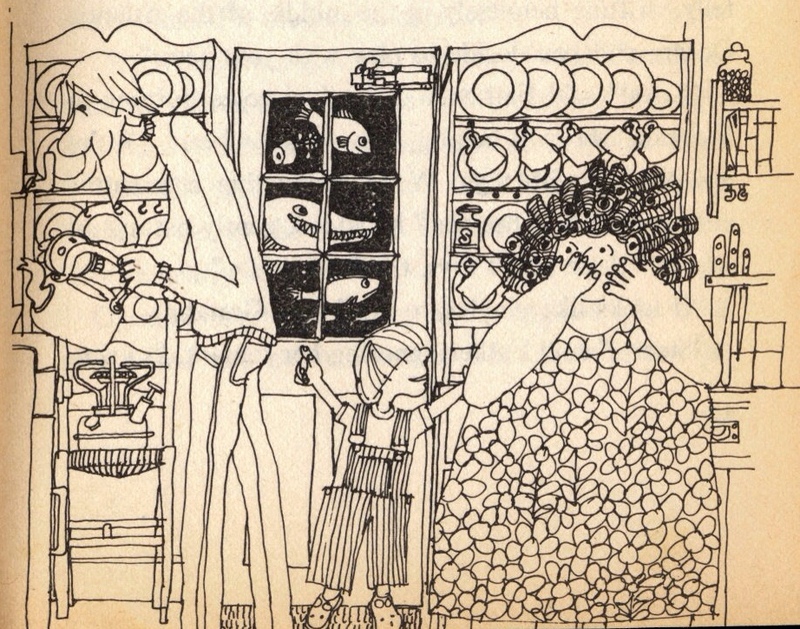 The book is clearly a family affair, as Mother and Father also bear more than a passing resemblance to Pat and Laurence, though I wonder who the dotty, but irrepressible Grandma is based on? 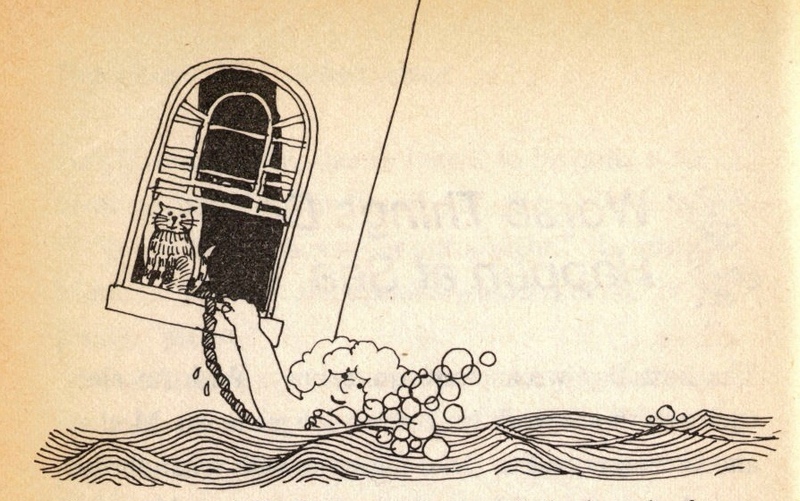 Both visually and in storytelling terms The House that Sailed Away is very much a product of its time, but I don’t think that should put children off from reading it today. 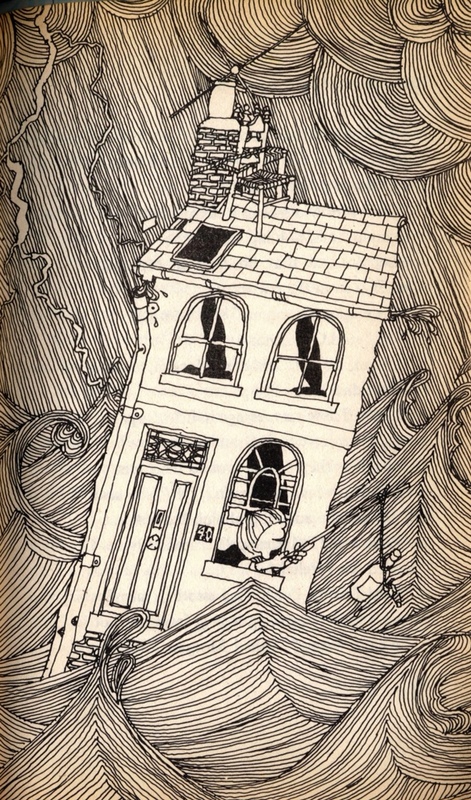 The central image of a house uprooted and turned into a ship is startling and timeless. Tags: Laurence Hutchins, Mad Men, Pat Hutchins, Rosie's Walk, The House That Sailed Away, The Silver Christmas Tree. Bookmark the permalink. Oh, I loved that book when I was a child, for some reason my copy went missing and I didn’t get to reread it as much as I wanted. Nice to go back down Memory Lane!